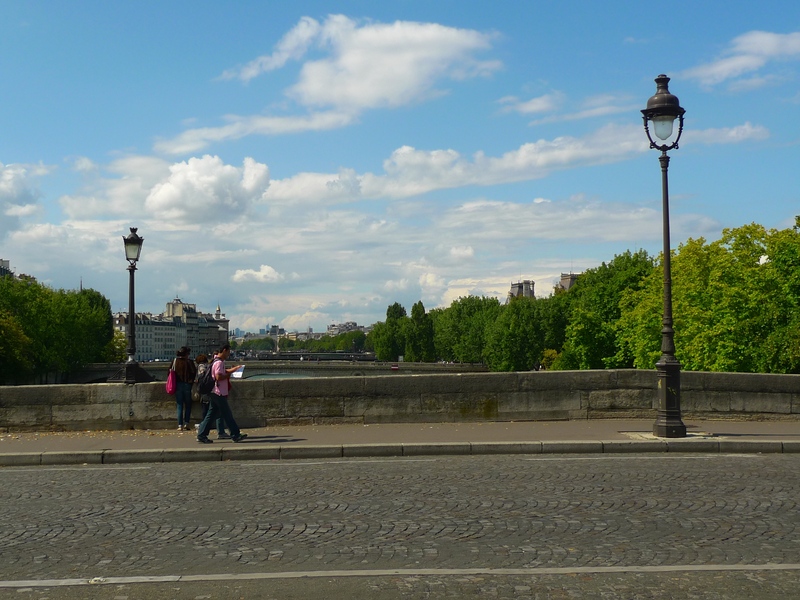 FURTHER RESEARCH FOR my Paris Bridges Project took me to one of the oldest surviving bridges in Paris, the Pont Marie. The Pont Marie is one of six bridges connecting the Île Saint-Louis to the Right and Left Banks of the Seine. It stretches for 92 metres across the river from Rue des Deux Ponts at the junction of the Quai d’Anjou and the Quai de Bourbon on the Île Saint-Louis to Rue des Nonnains-d’Hyères at the junction of the Quai de l’Hôtel de Ville the Quai des Célestins on the Right Bank. One might be forgiven for thinking that with a name like Pont Marie this bridge might have been named after a glamorous French Queen – but it was not. Instead, it was named after Christophe Marie, the French engineer and entrepreneur who designed it and supervised its construction. 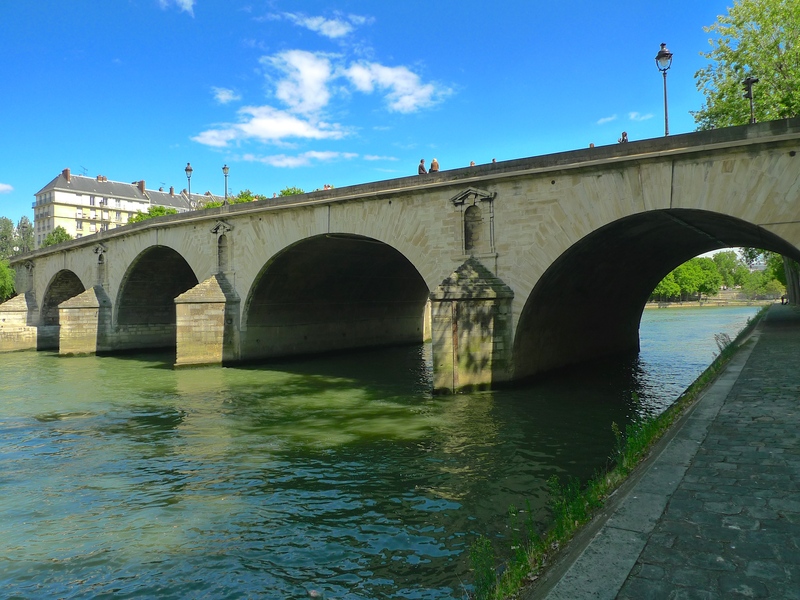 The Pont Marie we see today is the second oldest surviving bridge to cross the Seine within the Paris city limits, the oldest being the Pont Neuf which lies further downstream. 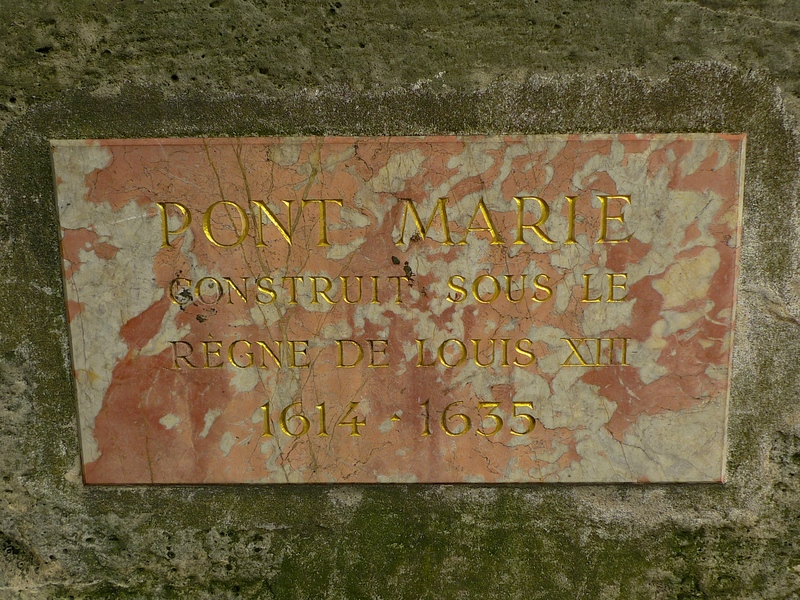 Conceived at the beginning of the seventeenth-century, the Pont Marie was part of a speculative development plan for the then vacant Île Saint-Louis. 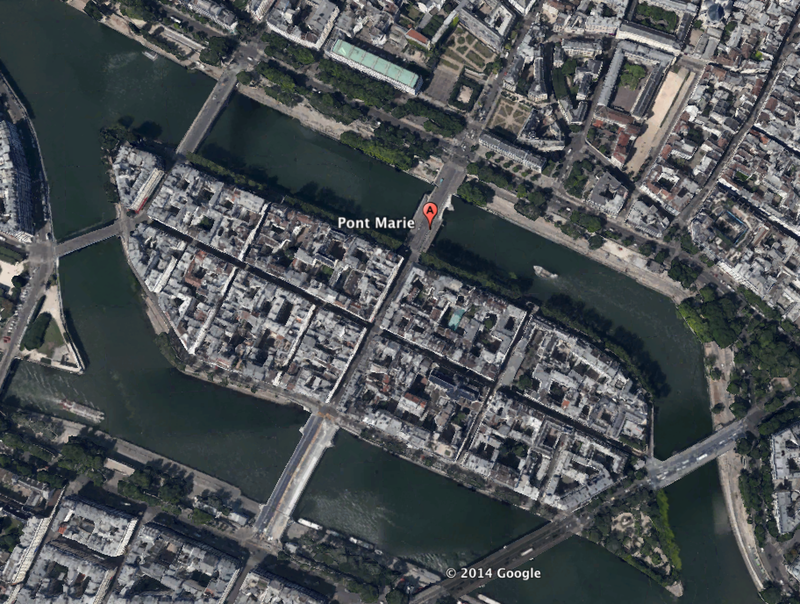 The plan called for two bridges to be built, the Pont Marie, connecting the island to the Right Bank of the Seine and the Pont de la Tournelle connecting to the Left Bank. 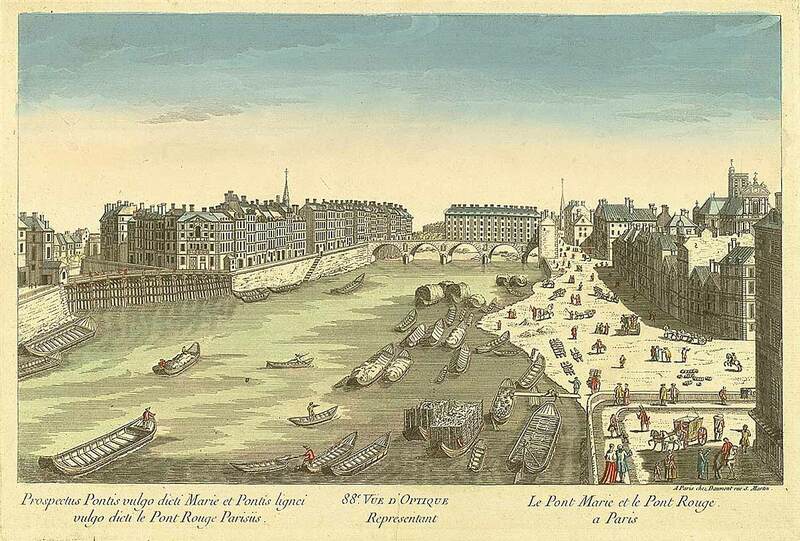 The Pont Marie was to be built first and it would include rows of houses and shops on the top of the bridge. King Henry IV gave his consent to the plan in 1610 and the Paris City authorities also gave their approval, presumably because this was to be a privately financed venture. Christophe Marie was granted permission to buy two parcels of land at either end of the proposed bridge at a preferential rate and the following year he was joined by two financiers, L. Pulletier and F. Le Regrattier, who sponsored the building materials and so, in 1614, work began. However, the project soon became mired in difficulties. When the legitimate owner of the Île Saint-Louis, the Chapter of the Cathédrale Notre-Dame de Paris, objected because they had not been informed beforehand they were bought off with an annual revenue of 1200 Livres but even so, recurring financial difficulties plagued the project. The royal secretary, Jean de la Grange, was obliged to take over the financing from 1623 to 1627 when Christophe Marie again took over responsibility. The bridge was eventually completed in 1630 and opened to traffic in 1635. 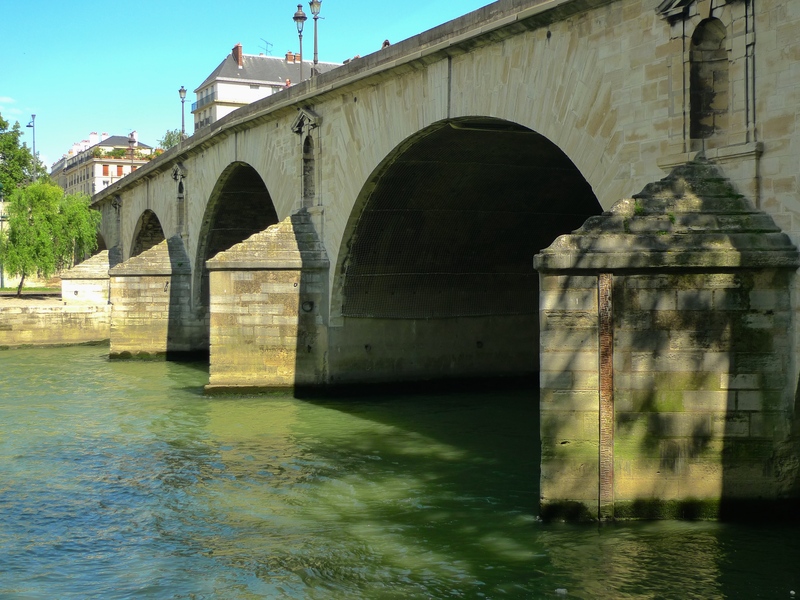 The Pont Marie comprises five semicircular arches separated by piers each of which are protected on both the downstream and upstream sides by acute-angled ice-aprons, wedge-shaped structures which protect each pier from floating ice. The four piers are decorated with 1,10 m wide niches, the height varying with the rise of the bridge and none of which, perhaps a little surprisingly, have ever contained statues. The plans for the Pont Marie included the building of two rows of houses and shops on top of the bridge and extending along the Quai des Ormes, now the Quai de l’Hôtel de Ville. Christophe Marie and his partners left the project in 1643 by which time a large part of this work had been completed. On 10th June, 1643, the master carpenter Claude Dublet, along with Denis Hébert and Louis Le Vau, later architect to the king, took over the work and built forty-six further bridge houses at a cost of 172 000 Livres each. Most of the buildings were completed by 1647 and occupied by 1652. But tragedy was just around the corner. 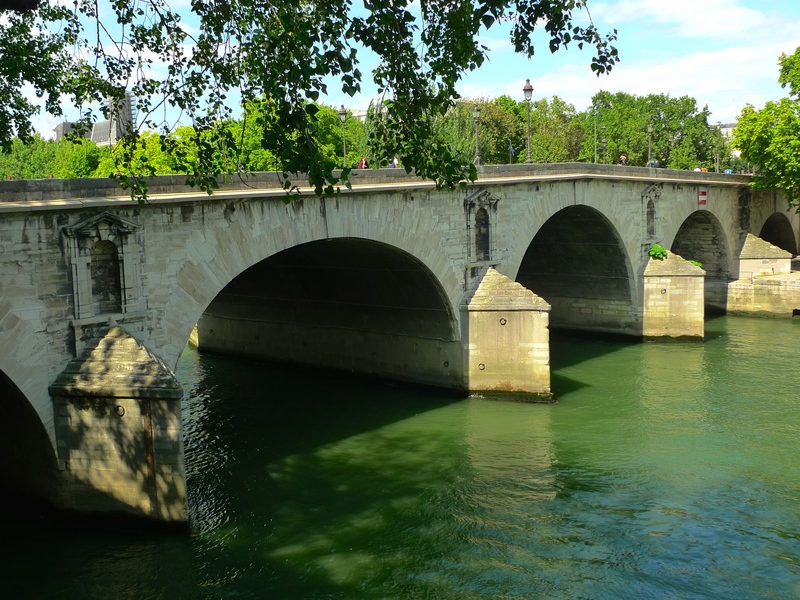 On the night of 1st March 1658, the river Seine flooded and the force of the water swept away two of the arches of the Pont Marie on the Île Saint-Louis side destroying twenty houses at a cost of sixty lives. Two years later, a temporary wooden bridge was constructed to restore the link from the Île Saint-Louis to the Right Bank of the Seine. This was a toll bridge and the funds collected were used to reconstruct the stone bridge. The work was completed in 1670 but the lost houses were not replaced. All the bridge houses on the Pont Marie, and on all the other bridges in Paris, were finally demolished following an edict of 1786, just before the French Revolution. The bridge underwent some restoration work in 1851, including flattening the rise a little in the centre of the bridge but without changing its overall appearance, so the Pont Marie we see today is the original 1635 bridge with the 1670 rebuilt section on the Île Saint-Louis side, minus the houses of course. My Paris Bridges Project is not only about exploring the history of all the thirty-seven bridges that cross la Seine within the Paris city limits, it’s also about seeking out and capturing the characteristic sounds of each bridge. 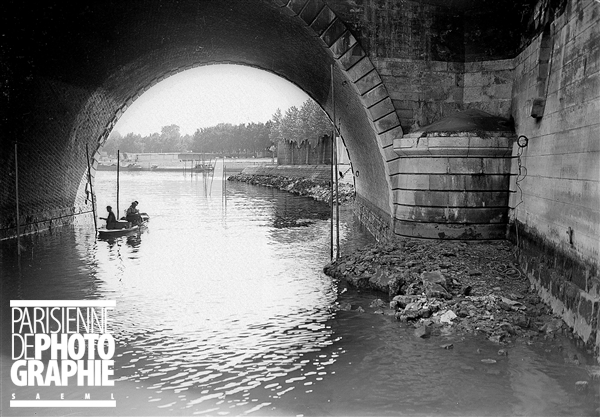 Before I went to the Pont Marie to explore its characteristic sounds I happened to come across this photograph of two men fishing under the bridge on the Île Saint-Louis side in 1942. Since I wanted to capture today’s sounds under the bridge on both sides of the river, I thought a good place to start would be on the Île Saint-Louis side in the same place as the fishermen were in 1942. Unlike then, it’s now possible to pass under the bridge at this point with or without the aid of a boat. 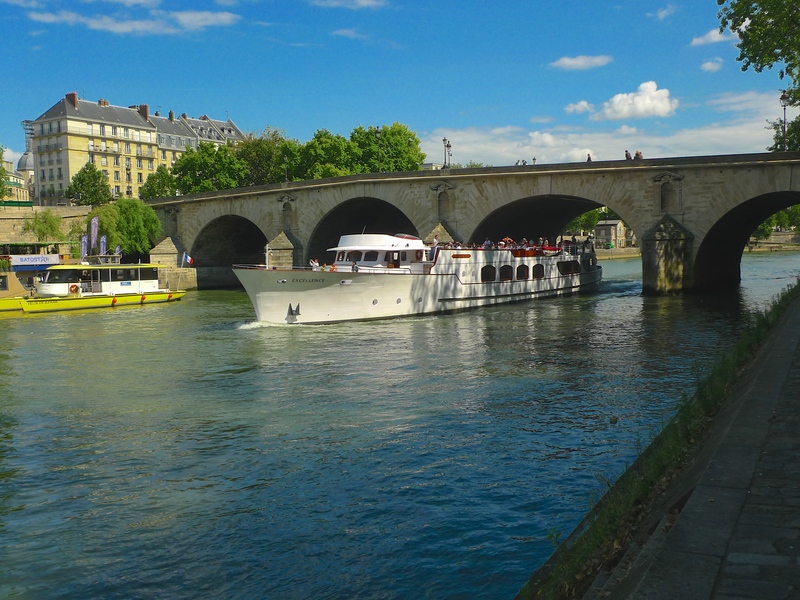 Today, the sound of passing river traffic is present at all the bridges that cross la Seine within the Paris city limits. And so it must have been for our fishermen in 1942, although I don’t know whether or not the boats of the Compagnie des Bateaux Mouches (as shown above) that have plied la Seine since 1917, were actually doing so under the Nazi occupation of Paris in 1942. The sound of the water lapping under the bridge though would have been very familiar I’m sure. 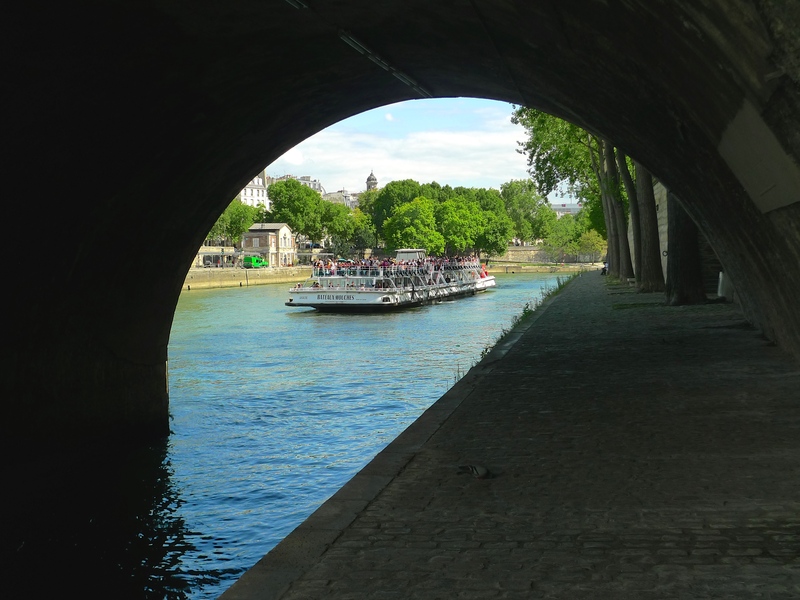 Having captured the sounds from under the bridge on the Île Saint-Louis side I wanted to explore what sounds I might find under the bridge on the other side of the river. 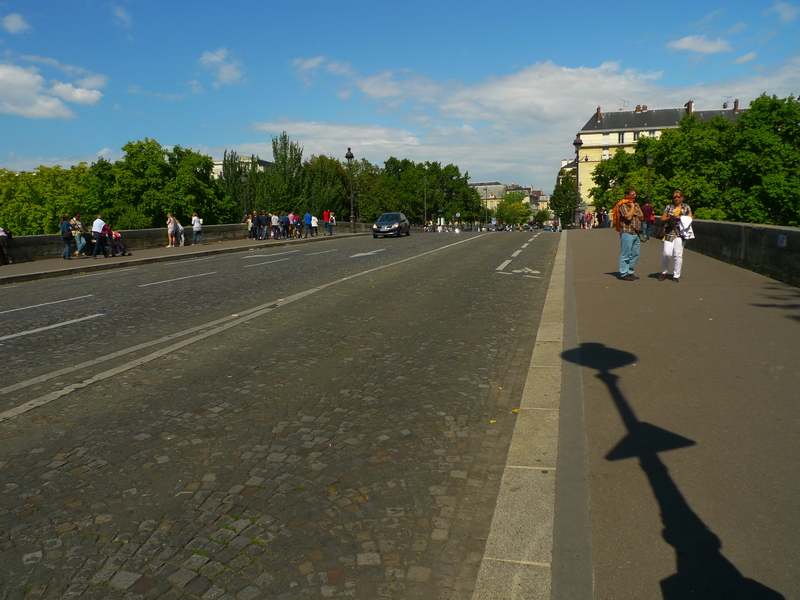 I climbed up onto the bridge and crossed over towards the Quai de l’Hôtel de Ville. As I looked over the bridge on the downstream side I could see what was in store. The Voie Georges Pompidou runs under the last arch of the Pont Marie on the Quai de l’Hôtel de Ville side complete with its seemingly never-ending stream of traffic. Georges Pompidou was the French Prime Minister from 1962 to 1968 and then President of France from 1969 until his death in 1974. 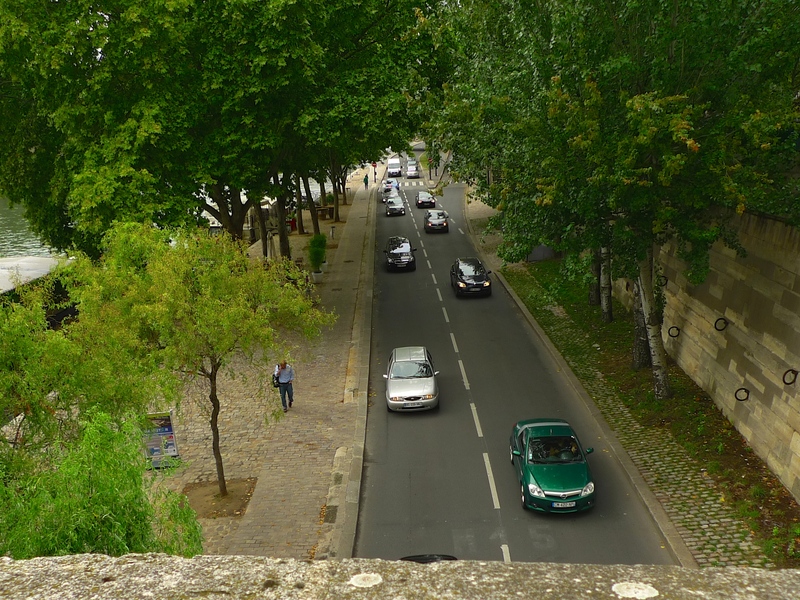 He was a lover of the automobile and he argued that a freeway should replace the grass-covered banks of the Seine by saying: “les Français aiment leurs bagnoles” (the French love their motors). 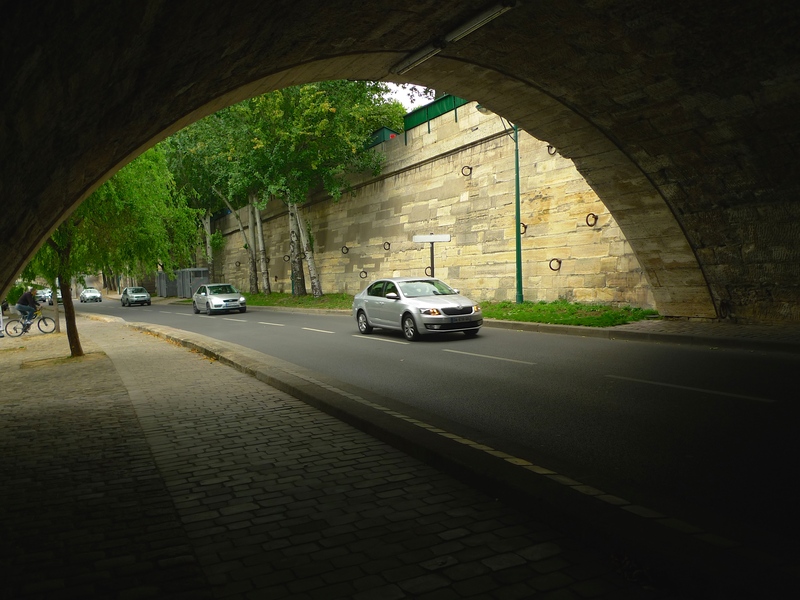 On March 27, 1966, the decision was made that the existing roadways along the Seine should be connected to create a continuous expressway along the banks of the river through the centre of Paris. The Voie Georges Pompidou (George Pompidou Expressway) was completed in 1967, and runs along the right bank of the Seine for 13 kilometres from the Porte du Point-du-Jour in the south-west to the Porte de Bercy in the south-east. Fortunately, there was only room on the riverbank for a two-lane expressway. Pompidou actually wanted to cover the Seine with concrete to create room for an even wider expressway but the environmental movement and others managed to put a brake on that and any further freeway expansion in Paris. And so the sounds of the Voie Georges Pompidou under the Pont Marie surely deserve a place in history since they are one example of several modernising legacies that Georges Pompidou left to the city. Leaving the sounds of the Voie Georges Pompidou behind, I climbed back up onto the Pont Marie to see what the characteristic sounds on the bridge might be. 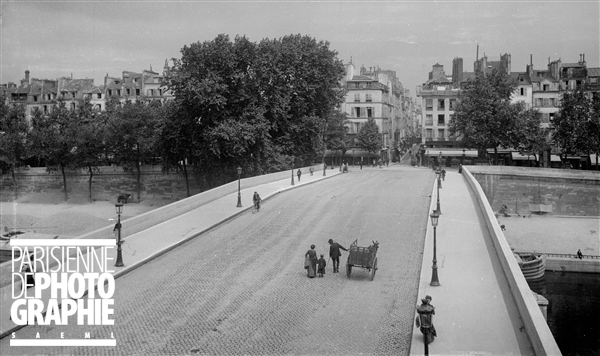 Researching the archives before my visit I found another photograph of the Pont Marie, this one taken in 1900 showing the bridge from above, and so I decided to use a landmark from this photograph from which to record the contemporary sounds on the bridge. These sounds tell us that the Pont Marie has its fair share of traffic on the bridge as well as under it although it sounds much less aggressive from above. For me, the pavé on the bridge seems to add a texture to the sound of the traffic that makes it almost appealing. I wonder what the people on the bridge in the 1900 photograph would have made of these sounds? Of course, there were motorcars in Paris in 1900. Maybe they would have seen and heard the occasional de Dion Bouton Voiturette or a Renault Voiturette 1CV passing and looked upon them quizzically and wondered if this was ‘progress’. I doubt though that they could have begun to imagine Georges Pompidou’s ‘racetrack’ under the far end of the bridge. I was particularly pleased to capture the sounds, if only fleetingly, of two or three bicycles passing. I suspect that the man cycling past the lamppost in the photograph would have felt at home with these sounds, if with little else. As I was recording the contemporary sounds of the Pont Marie, I couldn’t help contemplating the long history of this bridge and imagining what the sounds on, under and around it would have been like in 1635 when it was opened, almost four hundred years ago. Or in 1658, when a raging torrent ripped the bridge apart, or in 1900, a little over a hundred years ago, when a man on a bicycle and a family with a handcart were calmly crossing the bridge. Inevitably, my thoughts turned to wondering how much the sounds of this bridge will change in the next hundred or even four hundred years.